Hysteroscopy is a procedure that allows your doctor to look inside your uterus in order to diagnose. Obstetrical care is provided by a OB/GYN or trained health care provider. Our ultrasound is done in the doctor's office with a portable ultrasound machine. Cervical cancer is 100 percent curable if detected early. We offer cancer detection and PAP SMEAR. 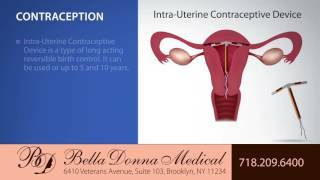 Family planning services are available in our medical office in Brooklyn. Endometrial ablation is a treatment for abnormal bleeding of the uterus that is due to a benign (non-cancerous) condition. One way to quickly achieve youthfulness is to treat your wrinkles with Botox. injectable ficial fillers can be used to fill in lines and depressions on the face or plump up lips. Vaginal rejuvenation allows to revert some changes in genitalia after childbearing, hormonal changes and aging. Preventive care at BellaDonna Medical Center focuses on preventing illnesses, injuries or medical conditions before they happen. Preventive care, also known as preventive medicine, includes age and gender appropriate lifestyle changes, vaccinations, screening tests and other measures. 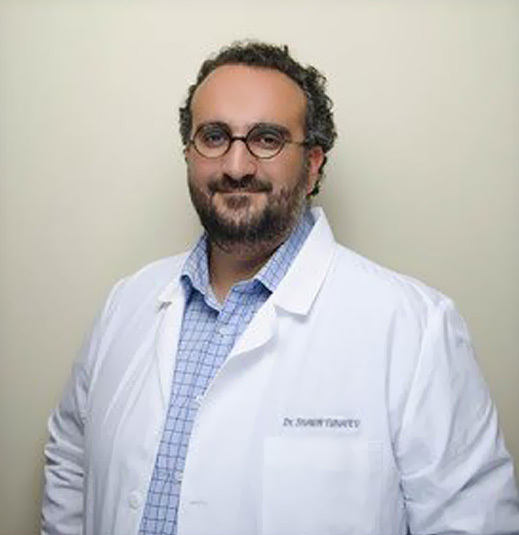 The OB-GYN practice of Dr. Shawn Yunayev is committed to providing quality women’s health services to women of all economic status and age. Our services run from routine gynecological examinations to specialized fertility services and restorative surgeries. In addition to investing in high-tech screening and imaging equipment, Dr. Yunayev’s facilities support non-invasive surgery, such as cryosurgery or hysteroscopy, should a specific health issue or need arise. Our practice can perform same day pregnancy and STD screens. It is the goal of our practice to provide a compassionate and non-judgmental environment for treatment, and a thorough, comprehensive exploration of those women’s health issues troubling our patients. 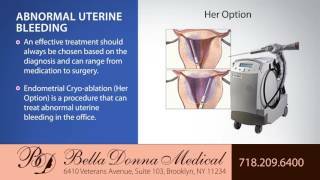 Whether you have an immediate OBGYN health concern in the Brooklyn area give us a call today. There are many cosmetic injectable fillers that are available for those who want to reduce the signs of aging but who aren’t ready for cosmetic surgery. Injectables can plump thin lips, restore facial volume and fullness, soften facial creases and wrinkles, or improve the appearance of recessed scars. These treatments can be done in a short office visit with little or no recovery time. Prenatal care is provided by Obstetrician/Gynecologist (OB/GYN) - a doctor who has specialized training in the care of women during pregnancy, labor, and delivery. An OB-GYN also specializes in many gynecological health issues. Have you ever been to the gynecologist and been told you need a procedure for further evaluation of a GYN problem? Learn about common GYN procedures and surgeries before you need them. Then, you’ll be one step ahead if your gynecologist ever says you need further evaluation of a potential problem. The Family Planning clinic provides family planning services for women who seek birth control options, management of unintended and abnormal pregnancies, contraception for women with complex medical issues, difficult IUD/Implant insertion and removal, and comprehensive abortion care. Real-time imaging is the most common sonographic technique used in obstetrics and gynecology. Real-time ultrasound is especially useful for imaging mobile subjects, such as the fetus or heart, and for quickly viewing an organ from different orientations. There are many cosmetic injectable fillers that are available for those who want to reduce the signs of aging but who aren’t ready for cosmetic surgery. Injectables can plump thin lips, restore facial volume and fullness, soften facial creases and wrinkles, or improve the appearance of recessed scars.